Eisenberger Home Watch of Port Charlotte, FL, earns second-year accreditation from the NHWA! Eisenberger Home Watch of Port Charlotte, Florida, has earned Accredited Member status from the NHWA for the second year. Owner Thom Eisenberger started Eisenberger Home Watch because he and his wife, Sheila, needed a reliable Home Watch service when they lived in their home on a part-time basis. They couldn’t find one they were comfortable with. So, when they moved to Charlotte County permanently, Thom started his company so that he could provide peace of mind to homeowners when they are away from their homes. 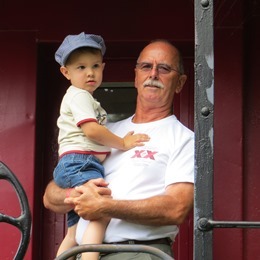 Previously, Thom was a home-remodeling contractor in Pennsylvania. As part of his business, he restored totally flooded homes, mitigated mold, and did home inspections for insurance companies. Thom is quite knowledgeable when it comes to caring for homes. 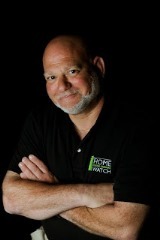 Thom has earned the designation of NHWA Certified Home Watch Professional. Eisenberger Home Watch serves Englewood, Gulf Cove, South Gulf Cove, El Jobean, Rotonda, Boca Grande, Cape Haze, and Placida. You can reach Thom at (941) 531-2575 or at thom@EisenbergerHomeWatch.com. Learn more at his website, www.EisenbergerHomeWatch.com. A little about the National Home Watch Association: The NHWA was formed in 2009 in order to establish and maintain the highest industry standards for Home Watch and absentee homeowner services throughout the United States and Canada (www.nationalhomewatchassociation.org).